A person that borrows money will put up collateral such as a car or house. You could say that the borrower is pledging the collateral. When the loan officer or creditor give the borrower the loan, it now is a secured loan or debt. According to history, these types of loans were occurring thousands of years ago. It was called commodities. One commodity was being borrowed against another one. According to some financial historians, loans like these date back more than 3000 years. It was said that this was taking place around Greece and Rome. During the Roman Empire times, it is said that rich landowners had used their own land as collateral. 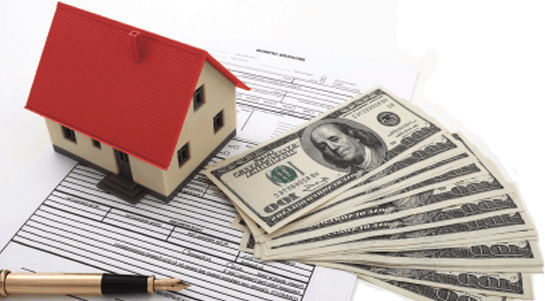 There are different kinds of secured loans such as home improvement and car loans. A home improvement loan can consist of new home furnishings or landscaping. It can be anything that involves renovation of your home. It is better to go through a automotive dealership for a secured car loan. It is more cost effective. The creditors would be more comfortable loaning on a car from a dealership instead of a individual. There are different providers for different types of these loans. There are these small loan places that have popped up in the early 1990s. There are good and bad consequences when doing a car title loan. These were really used for people who did not have very good credit. What happens is that someone who borrows from a loan place like this has to have a valid drivers license. The car has to be insured. There also should not be a lien on the car. This can also be called a pink slip loan. This can also be done at some pawn shops. You are basically putting up collateral for money. Pawn shops allow you to pawn cars or jewelry. Items like lawn equipment and televisions can be used. The difference with a pawn shop is that they keep the item or items that you put up for the collateral. There are skeptics that feel that a car title loan is a bad idea or rip off. One of the apparent problems with a title loan is that these loans have a very high interest rate. It would be like credit card interest rates on steroids. You can end up in deeper debt then when your were before the loan. It really depends on what you need the money for. If it is to pay for home bills like electricity or gas, you may be fine. If it is to pay on another loan, it is not a good idea. It will be like robbing Peter to pay Paul. In a car title loan, there are other fees included. This can add up really fast. A secured loan is better than an unsecured one. If someone has been denied a loan from the unsecured side, a secured loan will be better. Unsecured loan is almost a gamble. A credit card fits into the category of an unsecured loan. Student loans are another. An unsecured loan is a loan with no collateral. If your credit is damaged, a secured loan can help you build back up your credit. Your credit score can improve if your loans are paid off in a timely manner. This includes the payments per every month. It would be even better if a loan was able to be paid off in one lump sum. You can transfer unsecured debt to a secured loan. If someone is trying to pay off credit cards, they can take out a second mortgage on their house. It kind of is another gamble because you can be at risk of losing your home if you default on the loan. It is a very good idea to pay off the loan as fast as you can if you choose this route. You can change banks are start a new checking account that may have a lower interest rate. If a loan is not paid off on time such as monthly payments, the interest goes up. It is added on every month that goes by. There are some programs that offer loan forgiveness. Another name is debt forgiveness. It just gets the loan down. Almost a refinance program. Read more information about what is a secured loan come visit us at SecuredLoanExpert.co.uk.